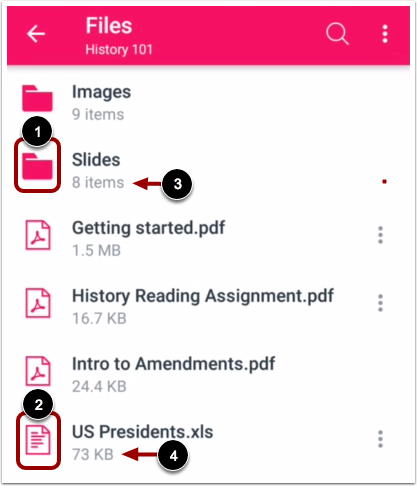 How do I view Course Files in the Student app on my Android device? You can view course files with the Canvas Student app. You can also view your personal files. Note: The Course Navigation menu matches the browser version of your Canvas course. 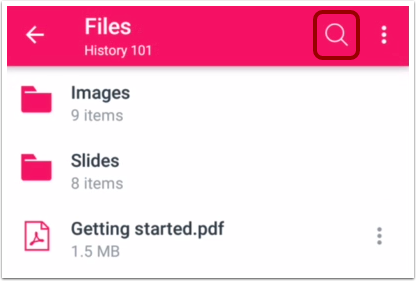 If Files is not available in your Course Navigation, it will also be hidden from view in the app. 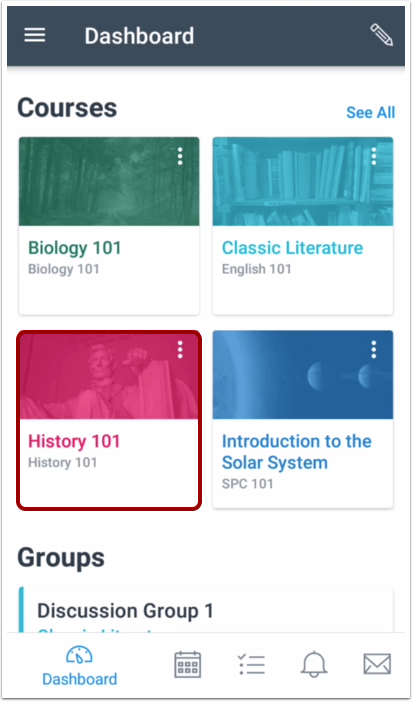 In the Dashboard, tap the name of the course you'd like to view. 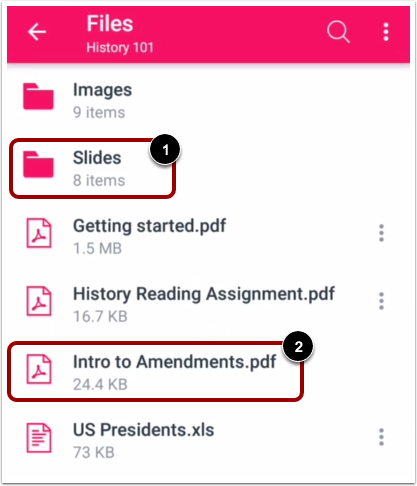 Note: You may need to swipe your screen to view Files in the Course Navigation menu. Files displays file folders  and file items  identified by icon type. File folders show how many file items are within a folder . 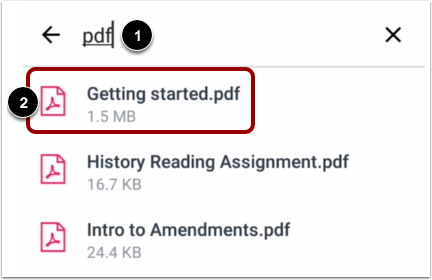 Individual files show the size of the file . 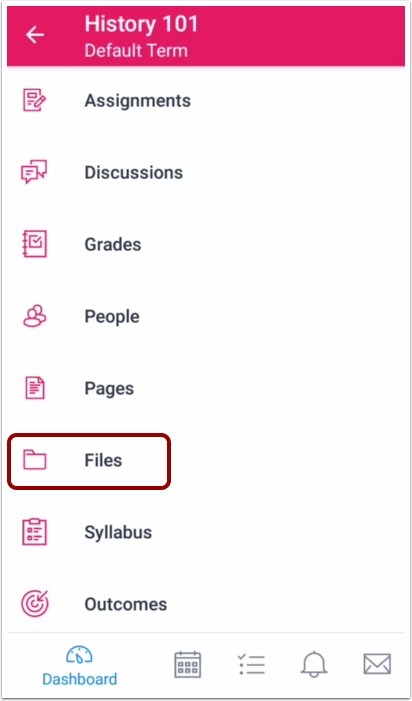 To view file items within a folder, tap the name of the folder . To view a specific file, tap the name of the file . If your device has an application installed that can display the file, you can view the file in the app. To open the search field, tap the Search icon. To search for a file, type the file name in the search field . To open the file, tap the name of the file . Previous Topic:How do I reply to a discussion in the Student app on my Android device? Next Topic:How do I view Modules in the Student app on my Android device? Table of Contents > Course Features > How do I view Course Files in the Student app on my Android device?